Particular video player like InterVideo WinDVD proves to be the safest way to playback DVDs. Since the tools built into the software are based in one feature, it cannot but be efficient. 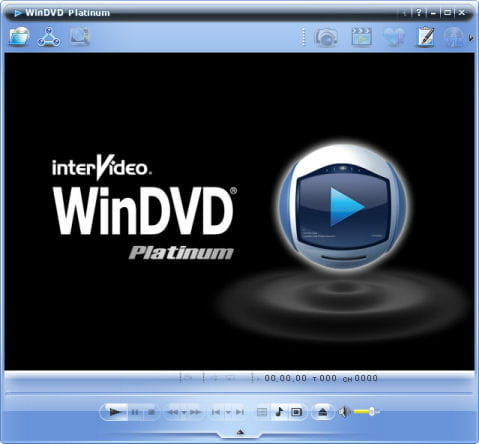 Video player: InterVideo WinDVD is a tool for playing DVD tracks. This powerful engine includes all the features of a video player with full-screen mode, zoom, faster reading speed and many others. Supported files: this tool supports multiple video files formats such as DIVX, Quicktime, WMV-HD and RealMedia. Reading these files will obviously be in high definition (great sharpness and quality). Customization: InterVideo WinDVD offers several sound and picture effects so that you can playback your videos and meet your expectations. It also gives you the ability to change the window through packed themes or your office themes. InterVideo WinDVD is downloadable for free. You can add additional skins. It includes an intuitive interface. This is a trial version, you have to pay for a license after 30 days of use. You need a minimum of requirement son your computer system to run the application. Latest update on February 3, 2015 at 04:49 AM.